NPR correspondent Chris Arnold is based in Boston. His reports are heard regularly on NPR's award-winning newsmagazines Morning Edition, All Things Considered, and Weekend Edition. He joined NPR in 1996, and was based in San Francisco before moving to Boston in 2001. Most recently, Arnold has been reporting on financial challenges facing millions of working and middle class Americans as the economy continues to recover from the worst recession in generations. Arnold was honored with a 2017 George Foster Peabody Award for his coverage of the Wells Fargo banking scandal. His stories sparked a Senate inquiry into the bank's treatment of employees who tried to blow the whistle on the wrongdoing. Arnold also won the National Association of Consumer Advocates award for Investigative Journalism for a series of stories he reported with ProPublica that exposed improper debt collection practices by non-profit hospitals who were suing thousands of their low-income patients. 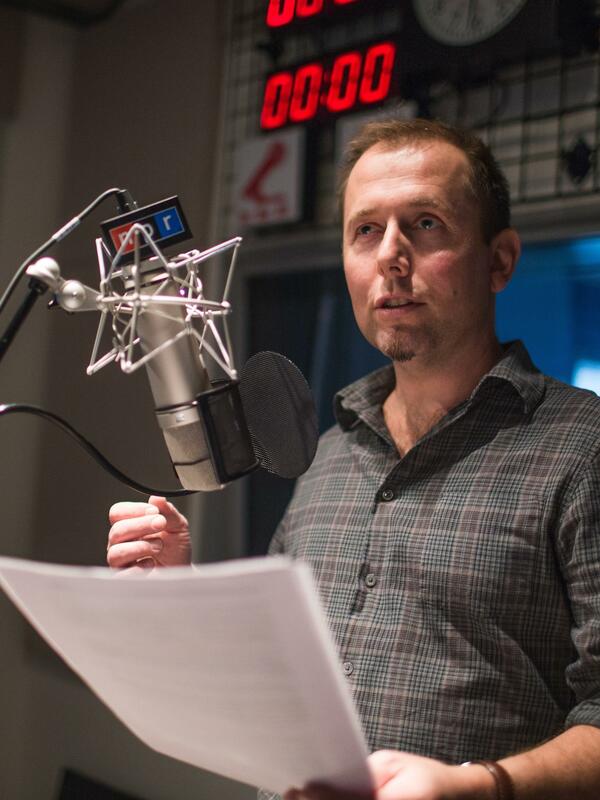 Arnold is now serving as the lead reporter and editor for the ongoing NPR series "Your Money and Your Life", which explores personal finance issues. As part of that, he's reporting on the problem of Wall Street firms charging excessive fees in retirement accounts: fees that siphon billions of dollars annually from Americans trying to save for the future. For this series, Arnold won the 2016 Gerald Loeb Award which honors work that informs and protects the private investor and the general public. UCLA calls the award the most prestigious in financial journalism. Following the 2008 financial crisis and collapse of the housing market, Arnold reported on problems within the nation's largest banks that led to the banks improperly foreclosing on thousands of American homeowners. For this work, Arnold earned a 2011 Edward R. Murrow Award for the special series, The Foreclosure Nightmare. He's also been honored with the Newspaper Guild's 2009 Heywood Broun Award for broadcast journalism. And he was a finalist for the Scripps Howard Foundation's National Journalism Award. Arnold was chosen for a Nieman Journalism Fellowship at Harvard University during the 2012-2013 academic year. He joined a small group of other journalists from the U.S. and abroad and studied economics, leadership, and the future of journalism in the digital age. Arnold also teaches Radio Journalism as a Lecturer at Yale University. And he was named a Poynter Fellow by Yale in 2016. Over his career at NPR, Arnold has covered a range of other subjects – from Katrina recovery in New Orleans and the Gulf Coast, to immigrant workers in the fishing industry, to a new kind of table saw that won't cut your fingers off. He traveled to Turin, Italy, for NPR's coverage of the 2006 Winter Olympics. He has also followed the dramatic rise in the numbers of teenagers abusing the powerful and highly addictive painkiller Oxycontin. In the days and months following the September 11, 2001, attacks, Arnold reported from New York and contributed to the NPR coverage that won the Overseas Press Club and the George Foster Peabody Awards. He chronicled the recovery effort at Ground Zero, focusing on members of the Port Authority Police department, as they struggled with the deaths of 37 officers—the greatest loss of any police department in U.S. history. Prior to his move to Boston, Arnold traveled the country for NPR doing feature stories on entrepreneurship. His pieces covered technologists, farmers, and family business owners. He also reported on efforts to kindle entrepreneurship in economically disadvantaged areas ranging from inner-city Los Angeles to the Pine Ridge Indian reservation in South Dakota. Arnold has worked in public radio since 1993. 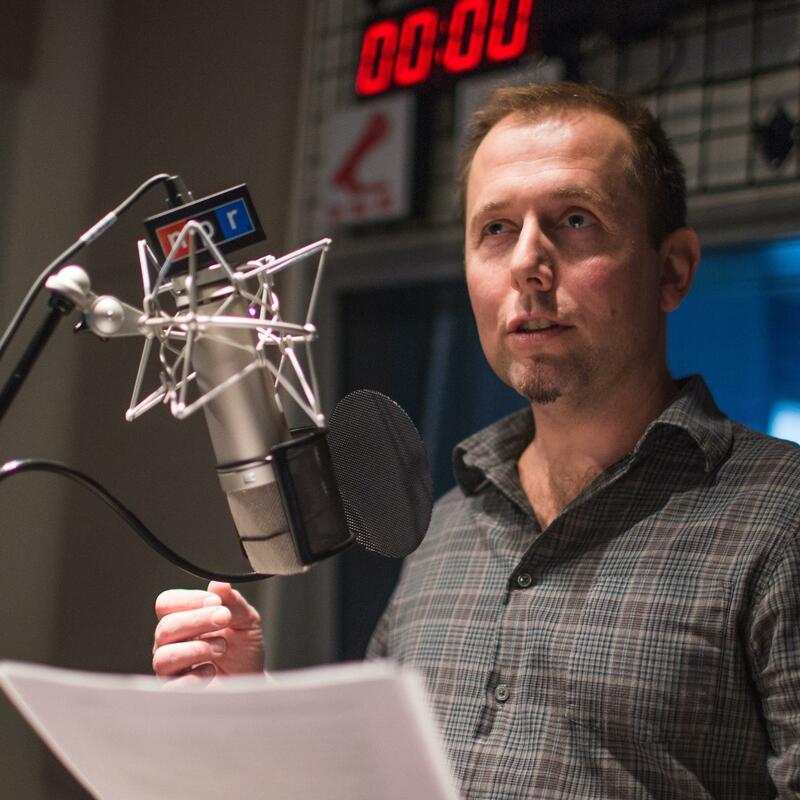 Before joining NPR, he was a freelance reporter working out of San Francisco's NPR Member Station, KQED. More progress this morning on trade negotiations between the U.S. and Canada. Even in a strong economy, many Americans live paycheck to paycheck. Forty percent don't have $400 to cover an emergency expense, such as a car repair. 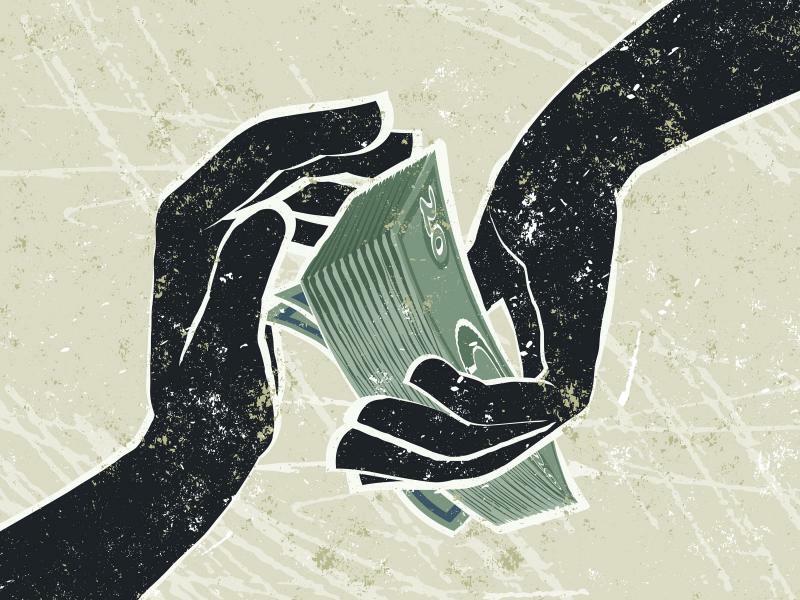 And many working-class people turn to payday loans or other costly ways to borrow money. But more companies are stepping in to help their workers with a much cheaper way to get some emergency cash. Startup companies that offer better options for workers are partnering with all kinds of businesses — from giants like Walmart to little fried chicken restaurants. The Trump administration is taking aim at a law designed to protect military service members from getting cheated by shady lending practices. 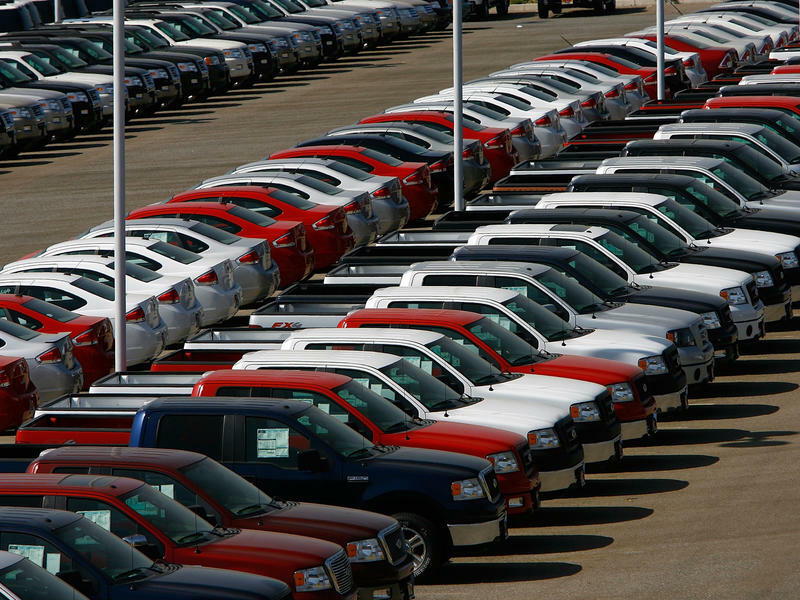 NPR has obtained documents that show the White House is proposing changes that critics say would leave service members vulnerable to getting ripped off when they buy cars. Separately, the administration is taking broader steps to roll back enforcement of the Military Lending Act. The Federal Reserve on Wednesday held off on raising its key interest rate, which plays a role in loans to consumers and businesses. 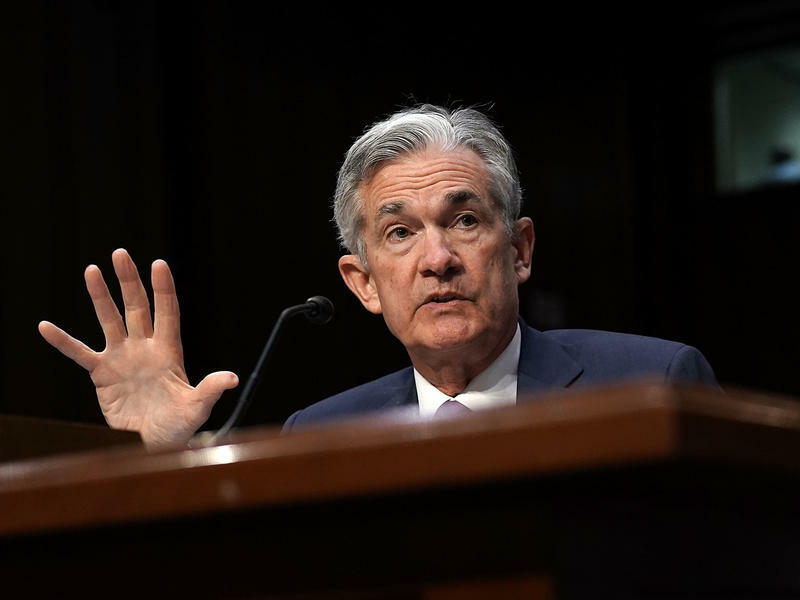 The Fed is sticking to the script it has been forecasting to financial markets, but it's expected to raise rates twice more this year — on top of the increases it implemented in March and June. The U.S. economy had a blockbuster second quarter, with growth surging to a 4.1 percent pace, the Commerce Department said Friday. That was nearly double the first quarter rate of 2.2 percent and the strongest pace in nearly four years. 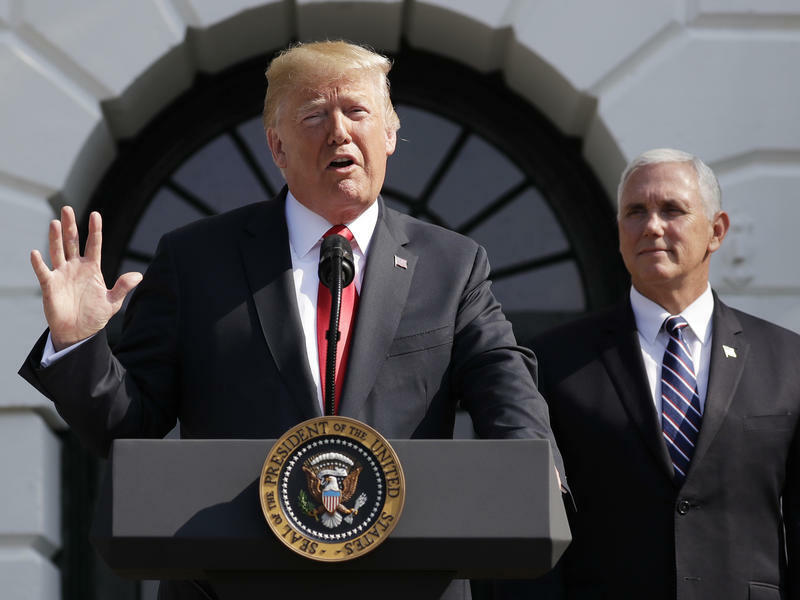 President Trump has been steadfastly claiming that his policies will catapult the U.S. economy into a much higher rate of growth — 4 percent over the next few years. To see what a trade fight can do to exports, all you need to do is look at pork. 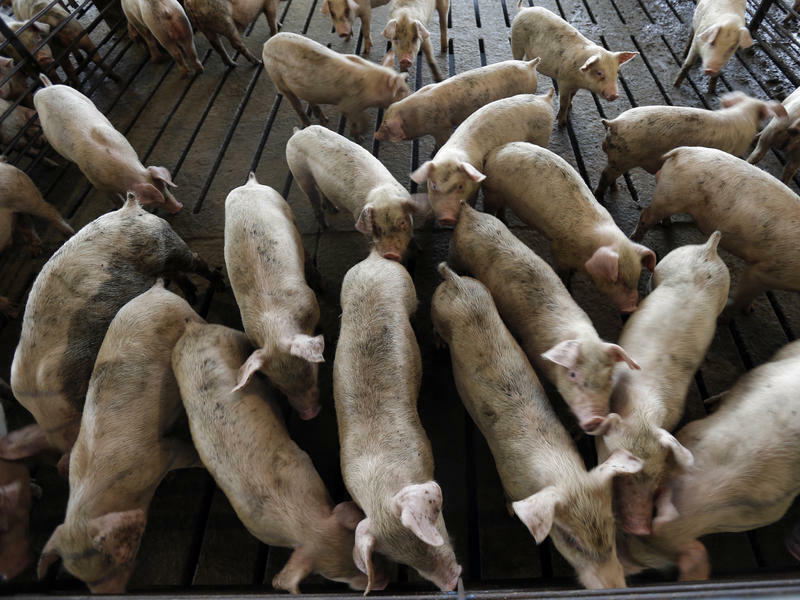 American ham and other pork products now face massive tariffs — between 62 and 70 percent – after two rounds of retaliatory tariffs by China. It's led to almost a standstill in pork exports to China. "In recent weeks, the U.S. Department of Agriculture has reported zero weekly export sales of pork to China," says Mary Lovely, an economist at Syracuse University. "So our exports to the country have pretty much collapsed." 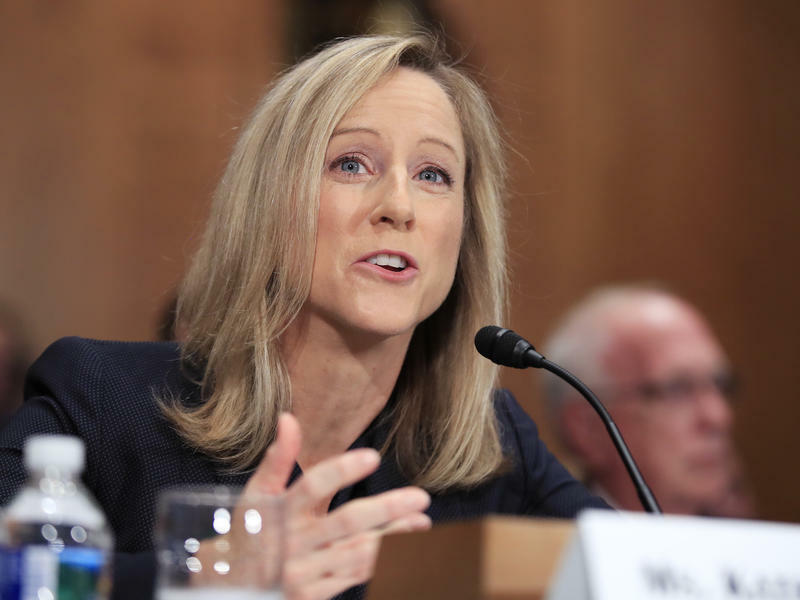 Democrats on the powerful Senate Banking Committee said Kathy Kraninger is not qualified to be the director of the Consumer Financial Protection Bureau, the agency the White House has nominated her to run. Republicans at her nomination hearing Thursday said her management experience at the White House Office of Management and Budget qualifies her for the job. The economic tea leaves right now are getting hard to read. 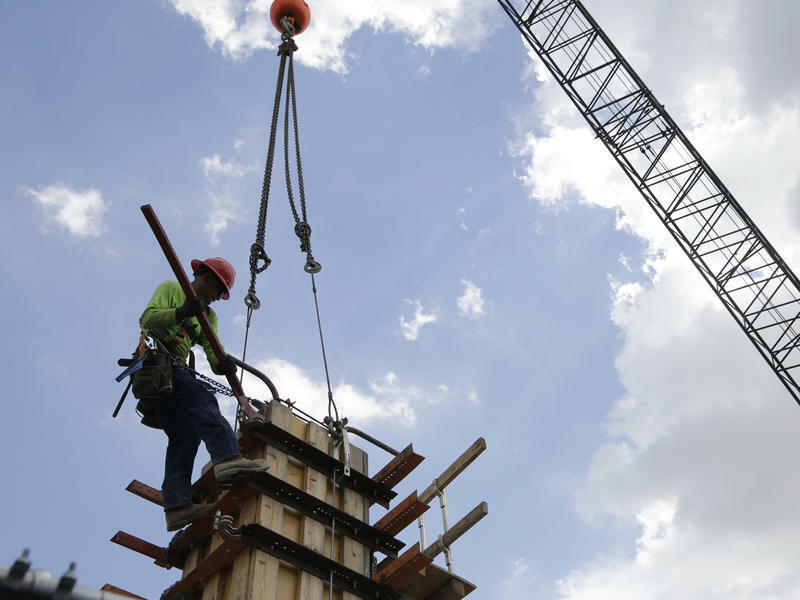 The latest measure of economic growth showed the economy expanded at a lackluster 2 percent rate in the first quarter. Estimates for second-quarter growth are much higher, and that has the Trump administration claiming its policies are working. Still, despite that rosy forecast, more analysts are pointing to worrying signs that with the expansion at nearly nine years and counting, a recession could be looming. 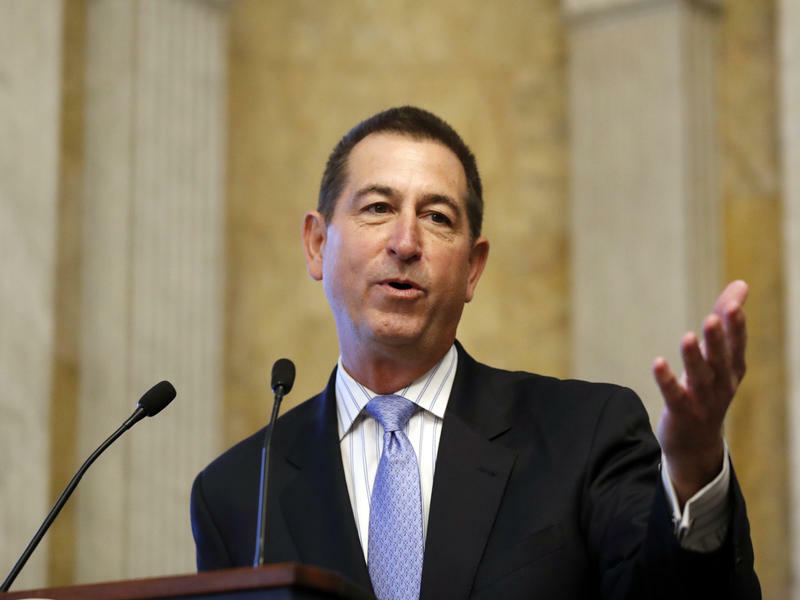 A powerful banking regulator appointed by President Trump could face tough questions in a Senate hearing Thursday about his efforts to allow big banks to make small, high-interest, short-term loans to consumers. In his latest action, Mulvaney moved on Wednesday to effectively dismantle the agency's consumer advisory council. 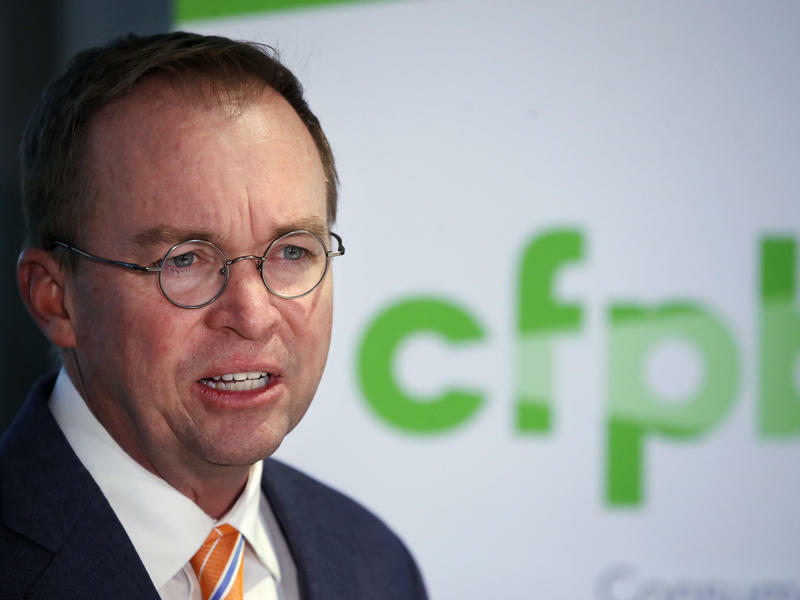 "It's quite clear that we've been fired," said Kathleen Engel, a law professor at Suffolk University and a member of the CFPB's Consumer Advisory Board.